Is the US standing around the world higher than when Barack Obama was elected US President? Has he fulfilled his campaign promises? RT discussed Obama’s final SOTU and points he focused on with analysts. 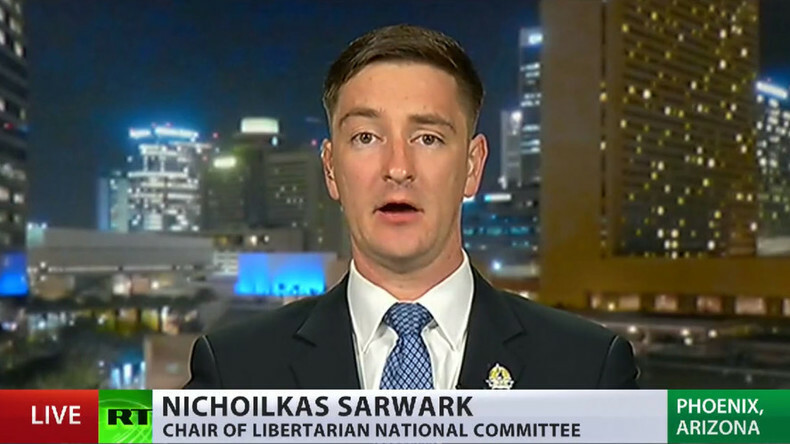 The US is sending its troops overseas to die for other countries’ civil wars, and that’s what needs to stop, said Nicholas Sarwark, chair of Libertarian Party's National Committee, commenting on Obama’s speech. RT: President Obama called America the “world's strongest country”, stressing that it spends more than any other nation on defense. Why do you think he focused on those points? Nicholas Sarwark: The President focused on those points because that is something that America can still brag about. We do have a military that spends more than next eight nations combined. The problem with that – is that we’re sending our troops overseas to die for other countries’ civil wars, and that’s what needs to stop. We’ve spent ourselves into a hole. And just because you are the ‘strongest country’ in the world doesn’t mean that you need to get involved in every conflict around the world. RT: The president also said the US should lead the world without actually becoming its policeman. How much does that reflect actual US policy? 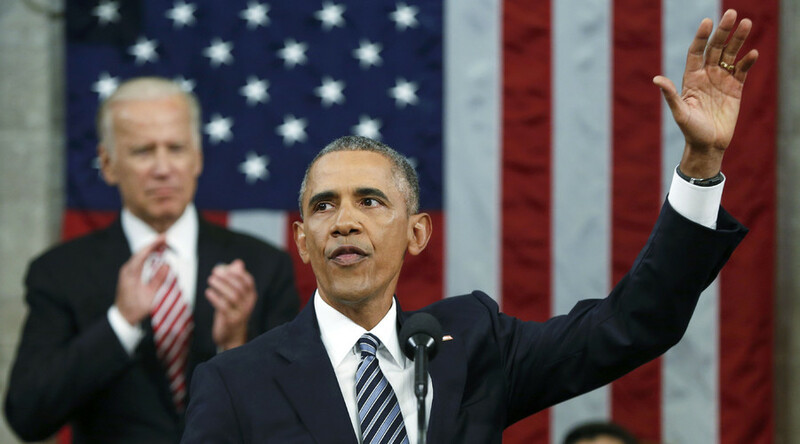 RT: Following the speech, Republicans said Obama's deeds haven't matched his pledges during his time in office. Is that a fair assessment? He talks about criminal justice reform, but his administration continues to perpetrate the war on drugs, which helps with the destruction of the Fourth Amendment to the constitution – support civil asset forfeiture, and creates this clash between police and the communities that they are supposed to be protecting. 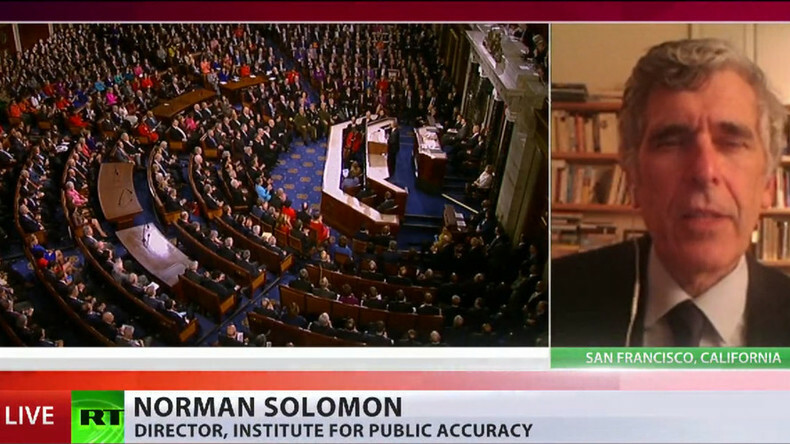 Almost any US president could elevate ‘higher standing around the world’ after George W. Bush presidency, during which the US became extremely unpopular, Media critic and anti-war activist Normon Solomon told RT. RT: Obama called the US "the most powerful nation on Earth", and said "our standing around the world is higher than when I was elected to this office." Do you think that's a fair assessment? In terms of being respected around the world and being the most powerful government, this is a standard issue sort of speech by a President who after all keeps trying to tell the American people that the Pentagon is second to the none around the world in terms of military powers. NS: ... When the end of the Obama administration comes, the current projections are that this administration will have dropped as many bombs in the world as the Bush administration. One the other hand, we’re seeing an effort by this President at the beginning of 2016, to, on the one hand, to push off against the right wing, very jingoistic Republicans who are trying to capture the White House; but on the other hand, reassure people that it’s not going to go overboard in any which direction. This was as much as anything else – a campaign speech to try to reinforce the political leverage at home, what you might call a centrist corporate approach to domestic politics, as well as foreign policy. RT:Obama said terrorists "do not threaten our national existence." Is he trying to calm fears in the wake of the San Bernardino shooting? 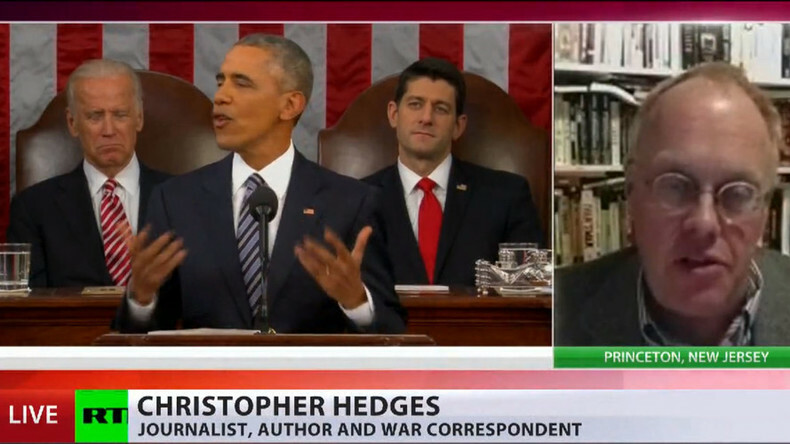 Christopher Hedges, author and war correspondent said that the whole undercurrent of Obama State of the Union 2016 address was touching the most disturbing for the American citizens external and domestic issues like wars in the Middle East, as well as poverty inside the country. RT: Obama mentioned Mideast conflicts saying terrorists are a real threat but fighting them is not “World War III ... they do not threaten our national existence". Do you think people will feel reassured by that? RT:The President said he keeps on working on shutting down the controversial detention center, the Guantanamo Bay. This is a promise that's been made for a long time - why is it so difficult to fulfill? CH: In essence they talked at one point about moving the Romanian prisoners in Gitmo into Supermax prisons within the US, and there was such a vociferous pushback and outcry against that, that it became impossibly to have countries not wanting to take these figures.